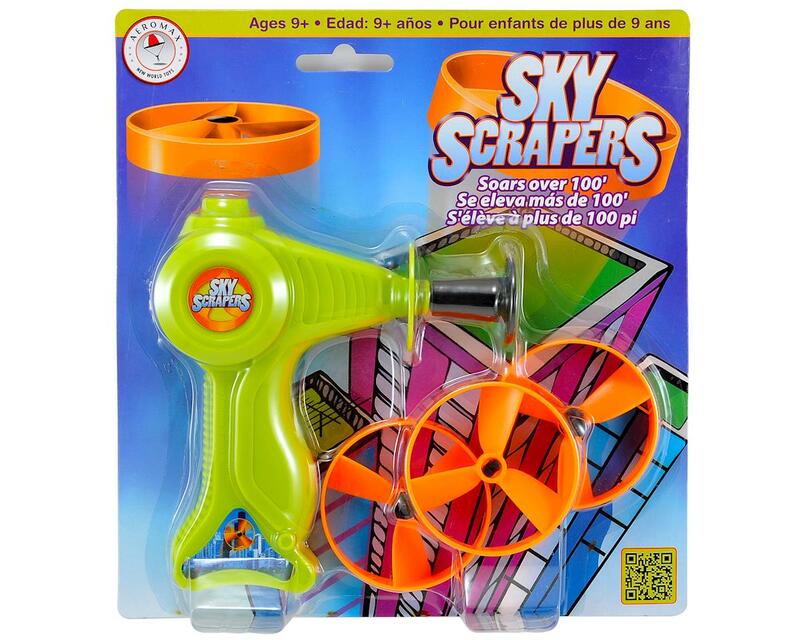 This is the Aeromax Sky Scrapers Flying Disk Set. Sky Scrapers will soar over 100 feet! Simply load the disk onto the included launcher, pull the rip cord and watch them soar. Package includes three orange disks and one launcher.